At El Rocio, among our most loyal customers are the flamenco groups, with whom we have a special relationship and we appreciate the trust they have maintained to us for so many years. Our groups are linked to flamenco teaching and events organizations and we are proud to participate in their passion and enthusiasm caused by the preparation of each event. In El Rocio, we offer personalized attention to all kinds of groups to meet their needs depending on the technical level required in flamenco dancing or shows. Our wide range of high quality flamenco clothing and flamenco accessories, ranging from beginner level to professional. 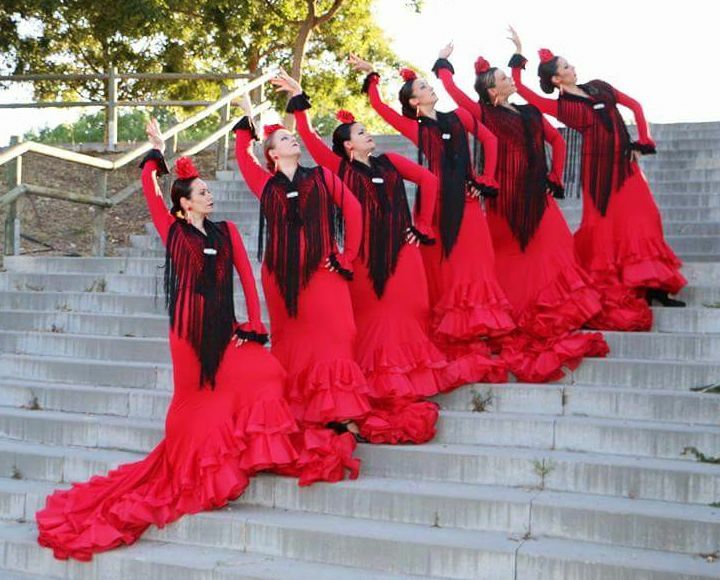 Our flamenco costumes 2016 are own production so we can offer the best service to groups giving them the choice of personalized clothing, colours or fabric types and in the quantities required. Our flamenco group´s advisor, Maria Jesús Pérez, will guide you when making your orders, advising you when choosing your items and guaranteeing the best price. Also, we offer special prices and discounts to groups registered with us. Take advantage as a Group by signing in our website and enjoy a 10% discount on many items (excluding special offers). For more information contact us by phone at (+34) 697 586 903 or WhatsApp, e-mail info@elrocio.es or visit one of our stores in Málaga (Calle San Juan, 1) or Granada (Calle Capuchinas 8 - Plaza de la Romanilla). These are some of the Groups and Schools that already trust us to buy flamenco dresses and dance wear. 1. Go to our website and click at: www.elrocio.es at the link ‘Your account’. 2. Before to place an order, contact our customer service department to activate you in our system as a group by phone or whatsapp: (+34) 697 586 903 or email info@elrocio.es. Note: After you have been activated as a group, we require that your first order should include a minimum of 10 items to complete the activation as a group. 3. Enjoy your discounts!. Each time you visit our website and log in with your username and password, you can view the discounted prices on many items listed. 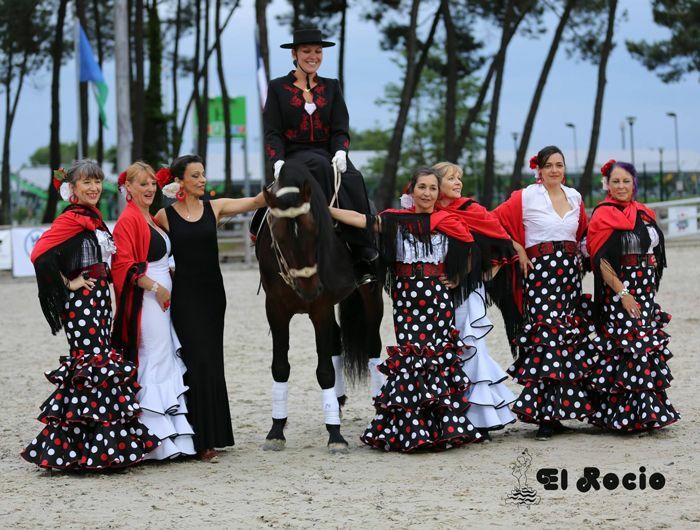 El Rocio – Flamenco wear. Images: Flamenco Chorus from Málaga, Spain / Ballet Español from La Rioja, Spain.